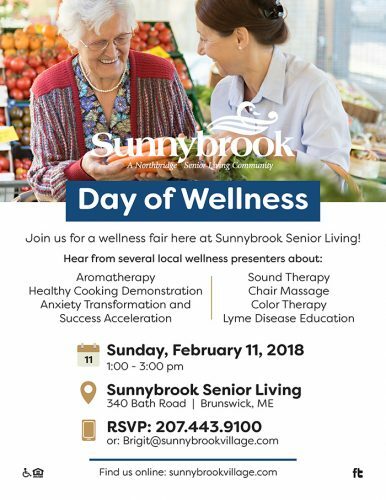 Join us for a wellness fair here at Sunnybrook Senior Living! Hear from several local practitioners during free talks and demonstrations. One every half hour. Enjoy a Smoothie Bar, Wholesome Snacks and Recipes. Enter to win great give a ways. Lyme Disease Education and so much more. The event is open to the public and free. For more details and to RSVP call Brigit 443-9100.